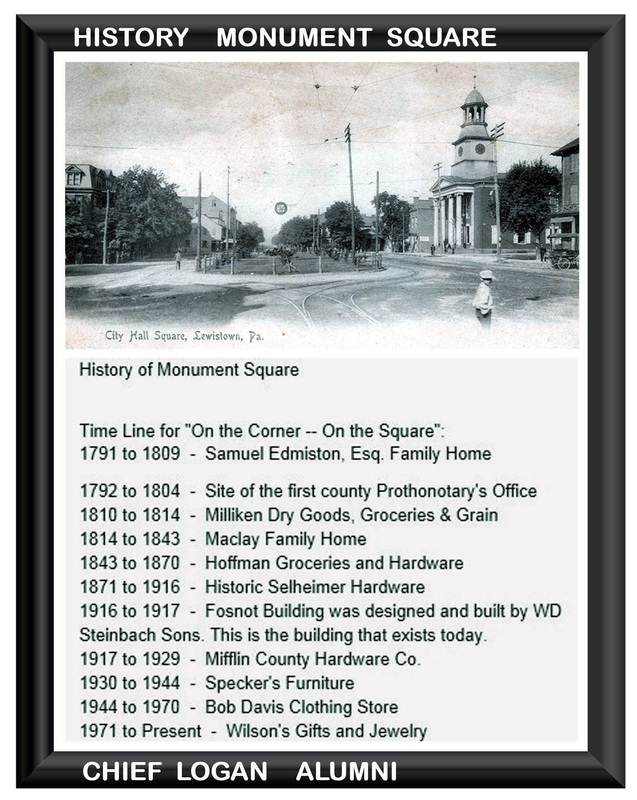 History - "On the Corner -- On the Square"
Stand on the steps of the Historic Mifflin County courthouse and survey the buildings that surround Monument Square. One sees an impressive collection of well-preserved structures circling the Soldiers’ and Sailors’ Monument. 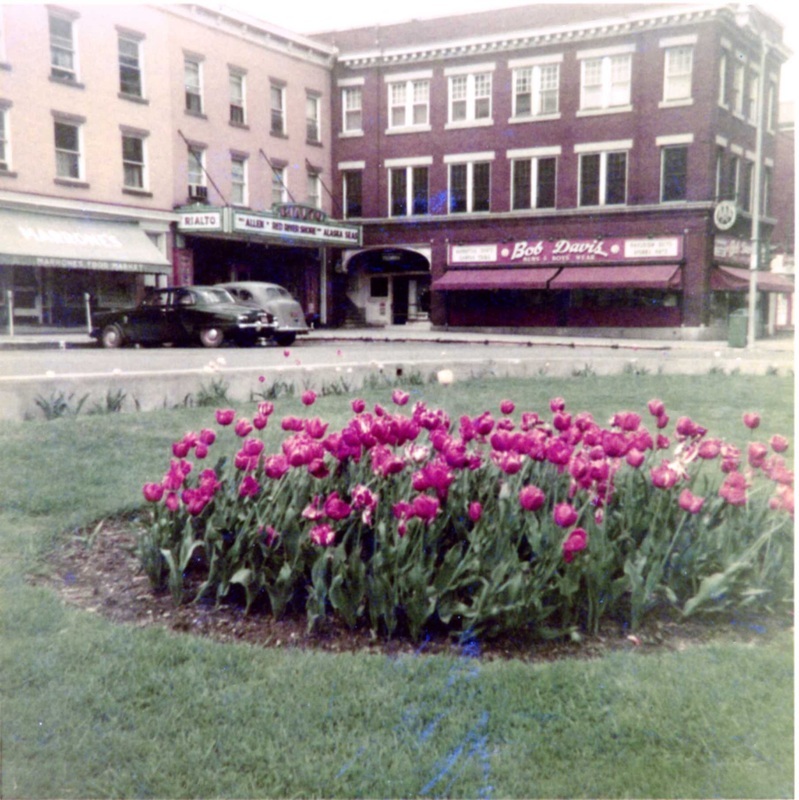 Pause at the northeast corner of the Square, and notice Wilson’s Gift and Jewelry, located at 11 – 13 East Market Street, publicized over the years as “On the Corner – On the Square.” This catch phrase remains a classic in local advertising since 1971 when Wilson’s became the present owner in a long line of individuals or estates occupying or owning the property. Over two hundred years earlier, the first structure, a two story brick dwelling, was built there by the county’s first Prothonotary. It stood for more than a century as a home and a series of stores selling everything from groceries, dry goods, drugs, hardware, clothing and furniture. For almost fifty of those years it was Selheimer Hardware, established by Civil War veteran John B. Selheimer in 1871. The land under 11 -13 East Market Street has an ownership history that stretches back beyond the county’s founding. This property, in fact all that became Lewistown, can be traced to Mrs. Dorcas Holt Buchanan’s land warrant of 1762. Four years later the tract was surveyed and included 300 acres located where Kishacoquillas Creek entered the Juniata River. Mrs. Buchanan transferred the land to son Arthur Buchanan in 1788 and in 1791 the tract was sold by sheriff’s sale to Samuel Edmiston, Esq. Edmiston came from Carlisle to the newly formed county in 1789, when he was commissioned Mifflin County’s first Prothonotary, or principal clerk of court, with duties including those of Register and Recorder, involving deeds, wills and other legal documents. The trustees appointed Edmiston and James Potter as surveyors when the new county of Mifflin was established. 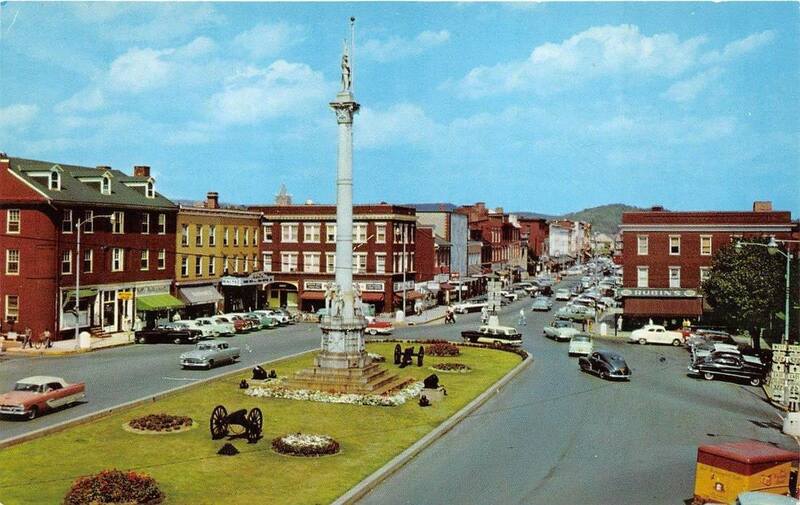 The pair was assigned to lay out the streets and lots for the county seat at Lewistown. From a sketch of the town’s 1792 plan published in the Lewistown Gazette in 1906, the thoroughfares were lined with almost two hundred numbered lots that in most cases extended north and south from the major streets. Most, but not all of the lots were large, approximately 60 feet wide extending some 200 feet from the street. Some land in the layout was set aside for a school, jail and burial purposes, while the remaining lots were eventually sold off and developed beginning in the later years of the 18th century. One of the lots from this original plan, No. 76, would become 11 - 13 East Market Street. Only two main structures have occupied this spot for approximately 215 years. Lots No. 76 and its eastern, and shorter counterpart No. 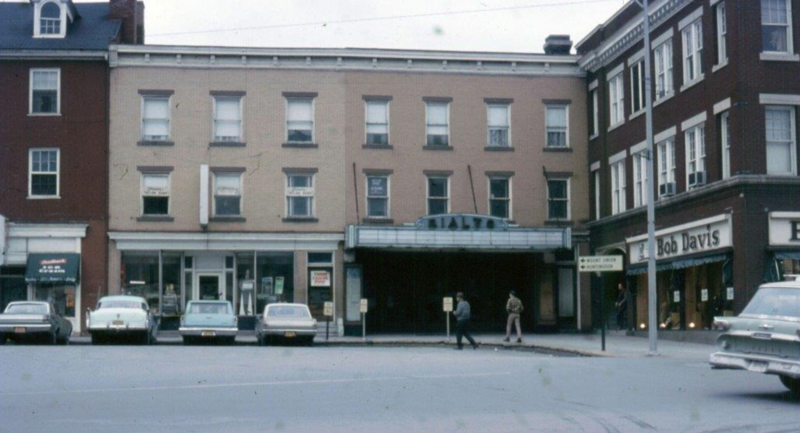 77, were located on the northeast corner of what would become the public square, and were acquired by Edmiston in 1792. He was the first resident on this location. He split No.76 lengthwise creating a west half and an east half. According to historical records, a two-story brick dwelling was constructed by Edmiston prior to October 1798 on the west half of Lot No. 76. The structure had an outbuilding, a kitchen that extended into the undeveloped east half of Lot 76. Edmiston conducted the office of Prothonotary from this house. 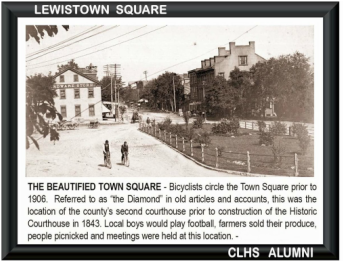 The Federal Direct tax records verify there were five brick houses in Lewistown in that year, one of which was the Samuel Edmiston house on the public square. Edmiston and his wife Jean Montgomery would eventually have four children there: John, Mary, Thomas and Joseph. Tax records in 1803 also show Edmiston’s brick dwelling and property on Market Street valued at $1,300.00. Unfortunately, he died the next year, leaving the property to his wife, stating in his will dated April 1804, “…I will, give and devise to my said wife Jean the house and two lots whereon I now live, during her widowhood. …” As was the custom then, Samuel’s estate handled the property until Jean’s death in 1809. She died without a will of her own, and had minor children at her time of death. Deeds recorded in the 1812 transactions refer to Samuel Edmiston’s son as Dr. John Edmiston. Records indicate he and his siblings left Mifflin County, the two youngest, Joseph and Sidney, to live with the oldest sister, Mary (Edmiston) Pindell in Fayette County, Kentucky. The next owner, James Milliken (1778 – 1851), was born in Kishacoquillas Valley in 1778, son of pioneer settlers Samuel and Margaret (Foster) Milliken. James came to Lewistown in 1810 and opened a store selling dry goods, groceries and grain, probably on the eastern half of No. 76. He later partnered with his brother Joseph Milliken and operated an influential mercantile and banking firm under the name J. & J. Milliken. He operated Milliken Mills, along Kishacoquillas Creek in Derry Township. He built a line of riverboats to float grain from Lewistown’s surrounding fertile valleys to Philadelphia by way of the Juniata River. When the Pennsylvania Canal opened in 1829, Milliken took advantage of this new mode of transport with a small fleet of canal boats and mule teams ready to move goods and grain from the neighboring fertile valleys. In addition, several iron furnaces were in the Milliken franchise, as were county branches of Milliken’s Lewistown store. Milliken was a mover and shaker of his time. In 1813, he married Ann Cunningham and the couple eventually had five children, two sons and three daughters, including Mary, Samuel, Anna, Allen and Margaret. James resided at Lot 76 for several years, perhaps first as tenant, but later as an owner. In 1814, Milliken sold the western half of No. 76 with the brick house to William P. Maclay, for $2,500.00. Tax records show that in 1814, when Milliken sold to Maclay, he retained the eastern half of No. 76 and built a store there. That store was acquired by the Clarke family in 1864 and became the location of the Boot & Shoe store operated by the Clarkes until it closed and was sold in 1926. The old Milliken store was demolished and the Club Diner installed, becoming Campbell’s Diner in later years. Today, The Trolley Car occupies the spot fronting on Market Street on the eastern half of old No. 76. Milliken eventually acquired No. 77, the next lot west, and built a house, which was the family residence for many years. He died in June 1851, possibly at this home in Lewistown on the Square, on East Market Street. His is buried in the Milliken family plot in Church Hill Cemetery, near Reedsville. A 1903 deed for No. 77 lists a brick store room and dwelling house, 2 frame shops and a stone stable. In a 1938 deed for the property, the building is listed as a 3-story brick building containing a theatre (the Rialto), a storeroom, office and apartments. Today, there are no structures on the property that was No. 77. 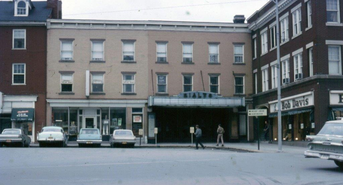 It is paved and used for parking between the Juniata Valley Bank and Wilson’s Gift and Jewelry store. William Plunket Maclay (1774 – 1842) and family became the next owners of the property. He was the eldest son of U.S. Senator Samuel Maclay (U. S. Senator from Pennsylvania 1803 until his resignation 1809) and nephew of U. S. Senator William Maclay, (one of the first two United States Senators from Pennsylvania, 1789 to 1791, and diarist who kept the only journal of the First United States Congress). William P. was born in Northumberland County, Pennsylvania. He was appointed the third prothonotary of Mifflin County from 1808 to 1814. (The prothonotary’s office was located in the Edmiston house when Maclay moved in, but was removed in 1816 to separate quarters established for county offices.) He was elected in 1816 to the U. S. House of Representatives as a Republican to fill the vacancy caused by a resignation of the incumbent representative, and served two full terms after that until 1821. He was not re-nominated in 1820. Maclay was a member of the convention to alter and amend the Pennsylvania constitution at Harrisburg, Pennsylvania, in 1837. He declined to sign the finished document because it excluded the vote to people of color. 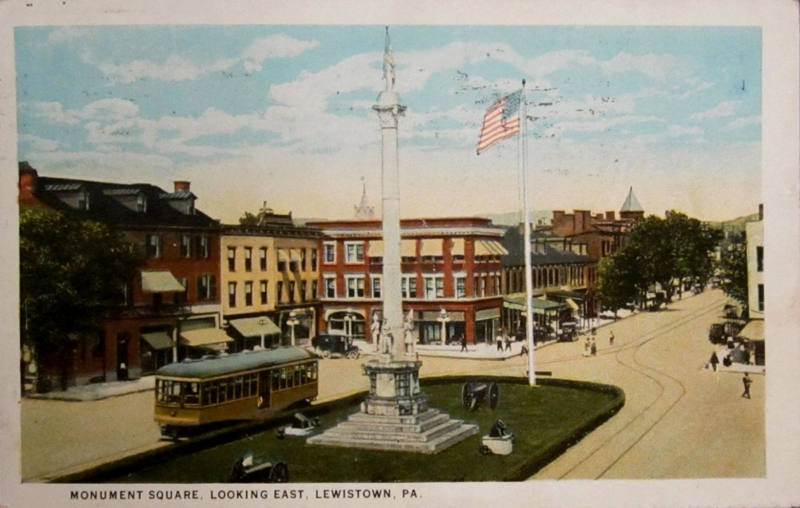 William also served as president of Lewistown Borough Council in 1815 and was a trustee of the Lewistown Academy when it was founded in 1815. He was married twice. His first wife was Sarah “Sallie” Brown (1783 – 1810), daughter of William Brown, Esq. and wife Mary Scott. Brown was an early settler of the Kishacoquillas Valley and founder of Brown’s Mills, which later became Reedsville. This made Maclay a brother-in-law to other prominent persons in Mifflin County history, including: General James Potter, John Norris and Rev. James Johnston. Maclay succeeded Norris in the prothonotary’s seat, while another brother-in-law, John Brown, successed to the Congressional seat held by Maclay until 1821. William and Sarah had three sons, the eldest being Samuel, future owner of this property. Two years after Sarah died in 1810, William married Jane Holmes of Carlisle. 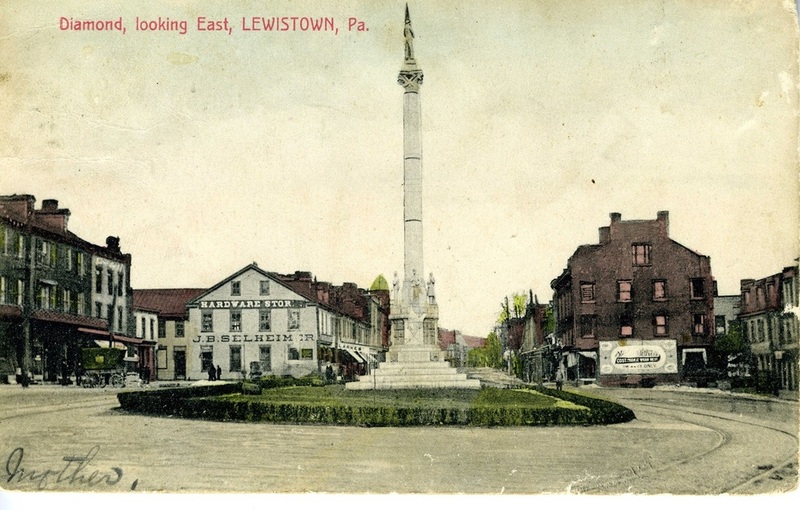 Three of the four sons born to William and Jane were born in Lewistown, including Holmes, David and Robert P. By 1825, the Maclays had moved to Union Township, where their youngest son, Joseph, was born. Members of the Maclay family owned the west half of No. 76 from 1814 to 1870. In 1830, the Maclays sold the property to the eldest son by his first wife, Dr. Samuel Maclay (1801 – 1891). William P. died in Milroy in 1842 and was interred in Milroy Presbyterian Cemetery. Dr. Samuel Maclay graduated from Dickinson College at Carlisle in 1825, and the University of Pennsylvania in 1829. He married Margaret Baxter, the daughter of an English army officer in 1827, and practiced medicine in Lewistown while residing with his first wife in the property acquired from his father in 1830. Dr, Maclay was also a member of the first medical society organized in Mifflin County. The couple moved to Milroy in 1833, where he continued his medical practice. They had no children by the time she died in 1863. Dr. Maclay remarried in 1864, to widow Mrs. Harriett Guinn or Gwin (1824 – 1886) of Huntingdon County. They had three daughters. Dr. Maclay was an ardent anti-slaver. The Maclay’s house in Milroy still stands as an historic site in Mifflin County, and has been associated with the Abolitionist movement and the Underground Railroad over the years. Dr. Maclay retained ownership of this property many years after moving to Armagh Township. He died in Washington, D.C. in December 1891 and is buried in Church Hill Cemetery, near Reedsville. The property was a rental after the Maclays moved out. The building that fronted on Market Street was converted to a store, operated by Frederick J. Hoffman (1816 – 1880) selling groceries, hardware and drugs for at least 27 years. Newspaper advertisements confirm that he was operating a store at that location in November 1843 and continued in that location until his retirement in 1870. One newspaper advertisement in March 1870, indicated that Joseph McFadden and A. J. Atkinson, co-partners in the drug and patent medicine firm of McFadden & Atkinson, took over Hoffman’s business on this property. After Hoffman retired and moved to Minnesota, Dr. Maclay sold the property in June 1870 to local resident John B. Selheimer. By this time, the location was commonly referred to as “the Maclay corner” in newspaper descriptions of the sale. McFadden & Atkinson continued until 1871, when their last advertisement appeared in local newspapers and new owner Selheimer took over. John Beale Selheimer (1826 – 1893) was born in what would become Juniata County. He married Eliza Matthews (1832 – 1915) in March 1850. They had six children, three boys and three daughters: Joseph, Eleanor, William, Elizabeth, Henry, and Mary. It was perhaps his military service that won him wide acclaim and helped make him a popular and prosperous businessman. Selheimer was chosen “captain” of the newly organized local militia unit, the Logan Guards, in 1858. He commanded the unit when it marched out of town on April 16, 1861, responding to President Lincoln’s call for volunteers to protect Washington, D.C. at the outbreak of the Civil War. These First Defenders helped maintain security around the Capitol for 11 days and were mustered out of service in July 1861. 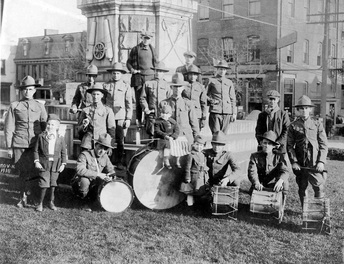 Later, the unit was organized as Company E of the Twenty-fifth Regiment of Pennsylvania Volunteers. Selheimer was promoted to the position of Lieutenant Colonel. Selheimer had a political career, too. 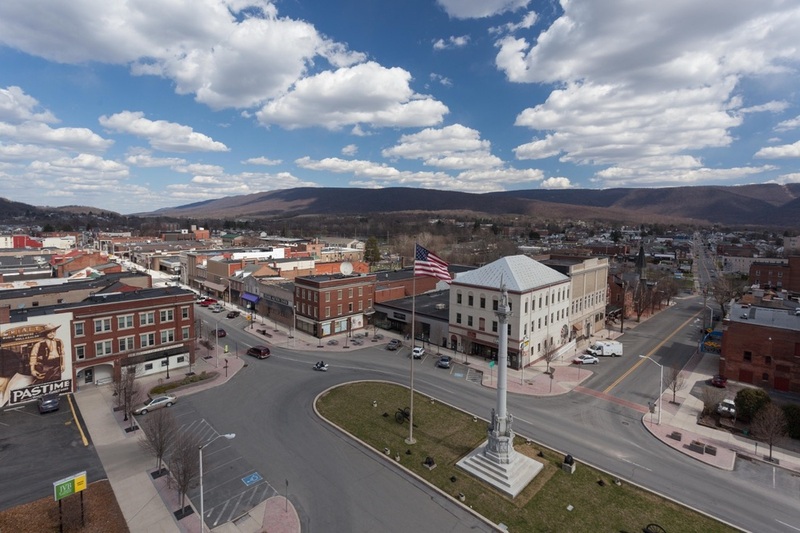 He was a supporter of the Democratic Party and served as Mifflin County Treasurer in 1857 and was the town burgess in 1867, and was also a school director. He was elected to one term as Mifflin County’s State Senator in 1884, representing Juniata and Perry counties, too. He did not seek reelection. 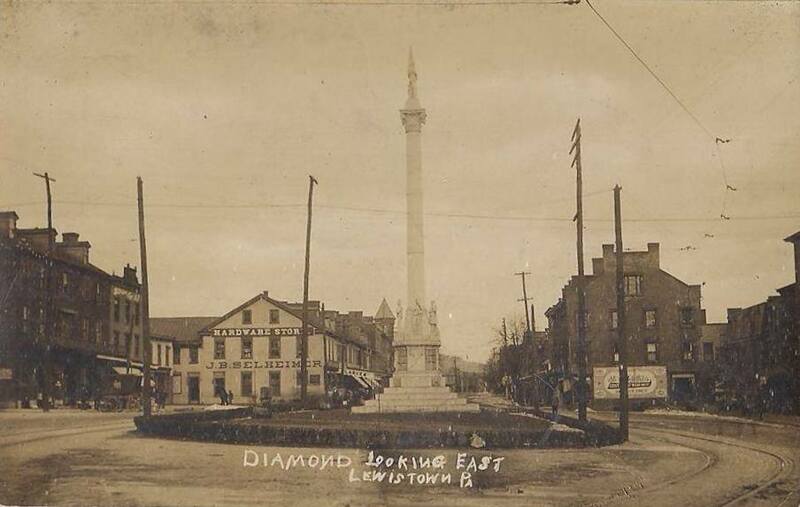 He came to Lewistown at age 16, around 1842, as an apprentice tinsmith. He finished learning the trade in Philadelphia and was considered an expert tin and metalworker in his Lewistown business. He partnered with James Bell, but bought out Bell in 1848 and continued the tin and sheet metal business until 1862. At that time he increased his stock, making hardware his specialty. When he bought the Maclay property in 1870, plans to move his business to this location were put in motion. The hardware business continued under him until his death, when he was described as “one of the best known and prosperous merchants of the county.” He had served as a director of Mann Edge Tool Co. and the Electric Light Company, as well as being a member of the building committee of the new Masonic Temple on the south side of the Square. After his death, the business continued under his son, Joseph M. Selheimer. Joseph became store manager in 1886 and took over the hardware business in 1893 when his father died. 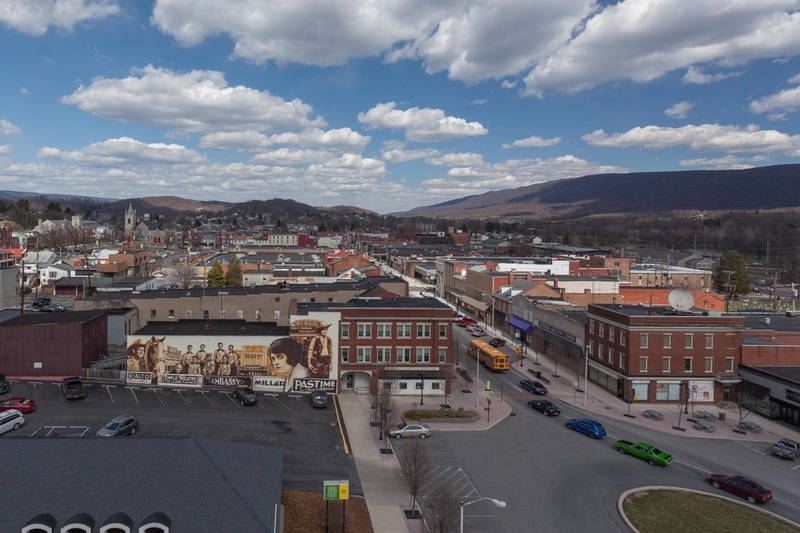 He even succeeded his father as a director at Mann Edge Tool Co.
Joseph Selheimer, one of the founders of the Lewistown Trust Company, retired from the hardware business in 1916 and sold it and this property to Walter Fosnot. Big changes were in the works again. Soon, the old brick building would be a memory and the structure there today would take its place. Walter Fosnot (1880 – 1950) was born in Lewistown, son of Henry J. Fosnot, editor and publisher of the Democrat & Sentinel of Lewistown. Walter started in the printing trade at age 16 and became a printer in 1895. Eight years later, in 1903, he and his father founded the firm of H. J. Fosnot & Son that published The Sentinel of Lewistown. He became president and general manager of the Sentinel Printing Company when the firm reorganized in 1920, a position he held for 30 years until his death. He served as president and as a director of the Russell National Bank and was president of the Lewistown Broadcasting Company (the “F’ in WMRF). Walter married Mary Grace Russell (1881 – 1968) in April 1907. 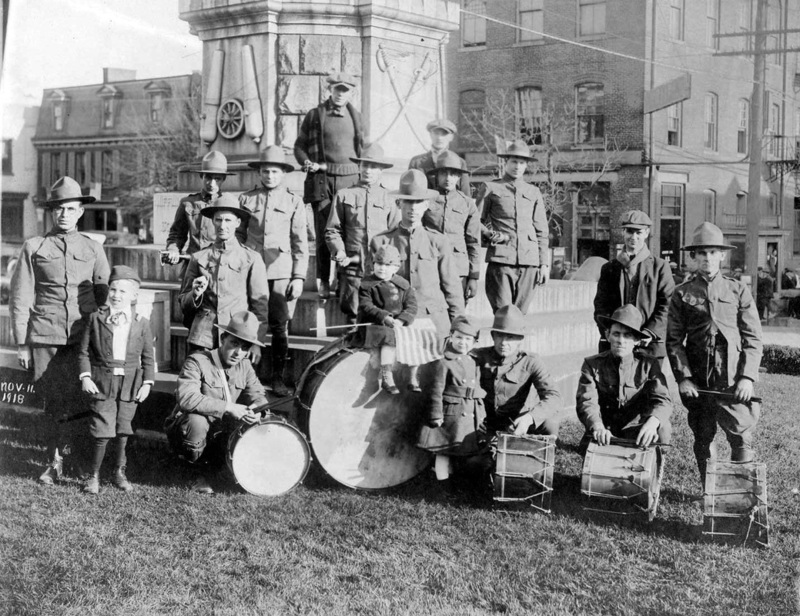 They later resided in a large two-story brick house built by another prominent businessman, Calvin Greene, on ground where the Lewistown Academy once stood, next to the Lewistown Presbyterian Church, at 17 East Third Street. They had one daughter, Mary Grace Fosnot (1908 – 1929), who died as the result of an automobile accident in Needham, Massachusetts, near Boston. When this property was purchased from Joseph Selheimer in 1916, Fosnot planned major changes for the location. It was a purchase of historic proportion. A local newspaper put it this way, “…about the largest business deal in the history of Lewistown in point of money involved and business interests concerned…one of the largest business places in the city and has been in the Selheimer name for fifty years…located on about the most desirable business corner in Lewistown…intention of the new proprietor to organize the business under the name of the Mifflin County Hardware Company and many new changes and improvements in the business and property are in early contemplation. The business will remain in charge of Mr. Selheimer for a short time until new management for the same is secured. …” - Daily Sentinel June 28, 1916. Fosnot and his heirs would own the property from 1916 to 1970. Almost immediately, the contracting company of W. D. Steinbach’s Sons demolished the old brick building, age…approximately 120 years… and built the new building, still on the property today. 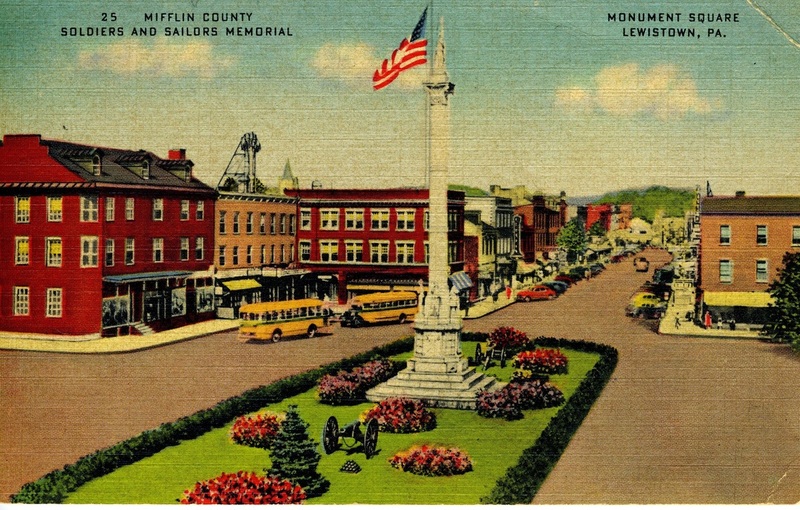 Steinbach was a noted area firm which “…was instrumental in developing the architectural landscape of Lewistown as it is today.” This, according to Carol Cummings’ article, “W. D. Steinbach’s Sons General Contractors: Building a legacy”, in the 2005 supplement to the Sentinel, Keeping an Eye on the Juniata Valley. Today’s real estate broker might term an offering as a, “classic Steinbach built home” with crown moldings and leaded glass throughout the structure. Multiple baths with marble flooring, ceramic and mosaic tile work, large built-in linen closets with drawers, elaborate fireplaces and extensive use of carved hardwoods are typical of a Steinbach’s quality. Mifflin County’s notables wanted homes built by Steinbach, including Judge William W. Uttley, theatre owner Harold Cohen and Lewistown businessman Howard C. Kline. Fosnot turned to the firm for his new hardware building. The Sentinel reported in December 1917 that the new three story structure would be 30’ x 140’, with a second floor space 30’ x 60’, and a long basement of 70’ in length. M. H. Wiker to manage, with Walter Fosnot as Proprietor. Lewistown’s most modern store, according to the newspaper. The Fosnots owned this property for over 53 years. 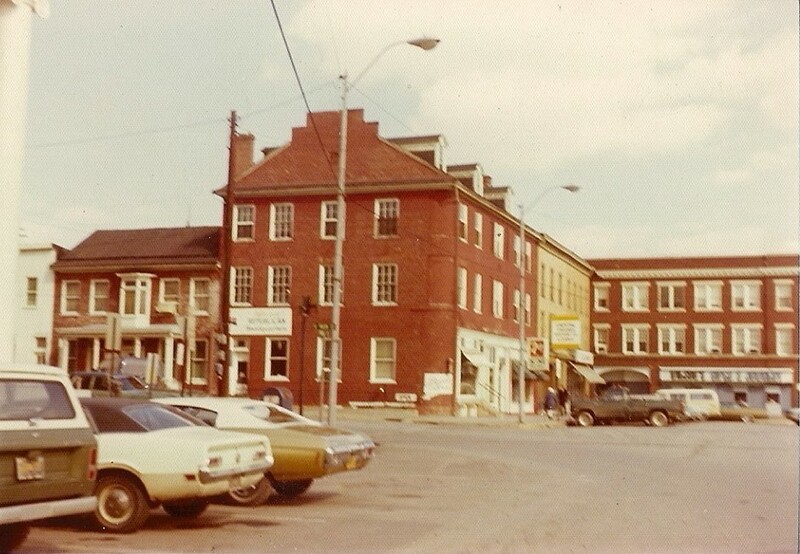 Tenants during these years, with approximate dates from Lewistown street directories, included: Mifflin County Hardware through 1929; Specker’s Furniture through the 1930s and 1940s; Bob Davis Clothing Store in the 1940s to 1970; Chamber of Commerce for a few years in the 1920s; Pennsylvania Department of Highways in the 1930s; Mifflin County Child Welfare Service through the 1940s and early 1950s; Lewistown Motor Club through the 1940s into the 1950s; and the Veterans Service Office in the mid-to-late 1960s. One of the more recent retail stores recalled on this property was that of Robert D. Davis (1902 – 1976). He opened The Bob Davis Store in 1944 and operated continuously until it was sold in 1970. Prior to that, Davis began his career in retail clothing at the Globe Store in Northumberland, PA and at “The Hub” in Sunbury, PA. He came to Lewistown in 1924 as manager of “The Hubb” located at 128 East Market. In 1931, Davis formed a partnership with William Kennedy and opened Kennedy and Davis Men’s Furnishings at 149 East Market before moving to the Fosnot building in 1944. The 1944 grand opening of The Bob Davis Store featured a newly remodeled storeroom and display cases, according to newspaper advertisements. Men and boys’ clothing were the specialty, along with accessories. It remained in this location for about 26 years. Davis retired in 1970, but the clothing business continued for a few years at a new location on South Plaza Drive where South Hills Business School is located today. Bob Davis died in 1976 and was survived by wife Evelyn (Scheaffer) Davis and two adult children. Quite a few owners operated a billiard/pool hall in the basement of this property, too, almost continuously for fifty years. These, with approximate dates from Lewistown street directories, included: William B. Harmon, 1922; Ralph I. Harmon, 1924-1926; Clarence T. Bowsman, 1929 – 1939; Carl R. King, 1941- 1947; Malcolm H. Miller, 1952-1954; and G. Charles Ernest, 1956-1970. Abbey’s Pool Hall, Albert Watson, owner, is listed in 1972. Over the years, a series of dentists, insurance companies and physicians were also located in the Fosnot building’s second floor, as well as various persons living in the apartments. 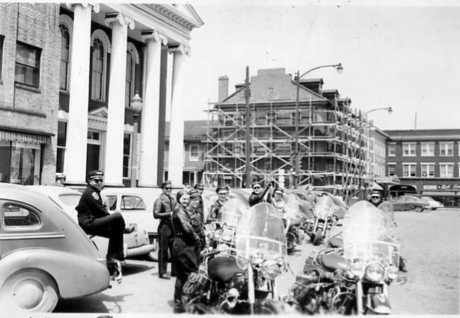 The building was sold by Walter Fosnot’s heirs in 1970 to Paul F. Wilson, Sr. 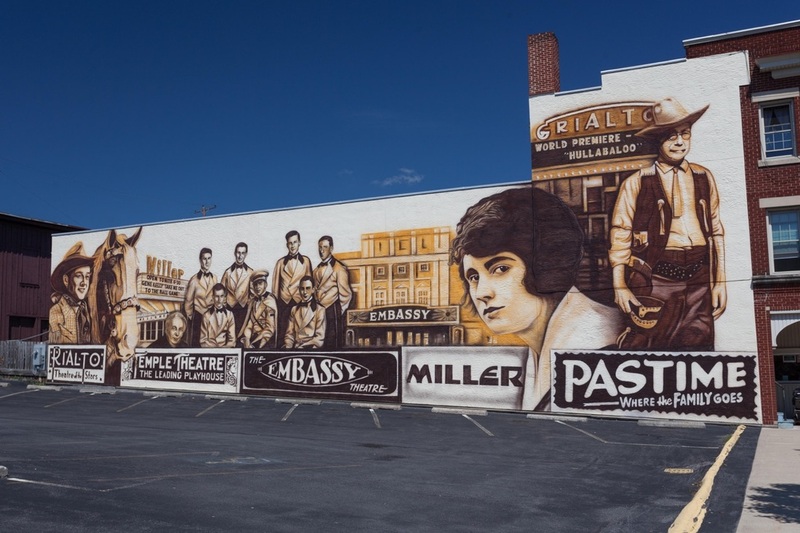 Ownership next passed to Paul F. Wilson, Sr. (1919 – 2001), who was born in Blandburg, Blair Co. Pennsylvania. 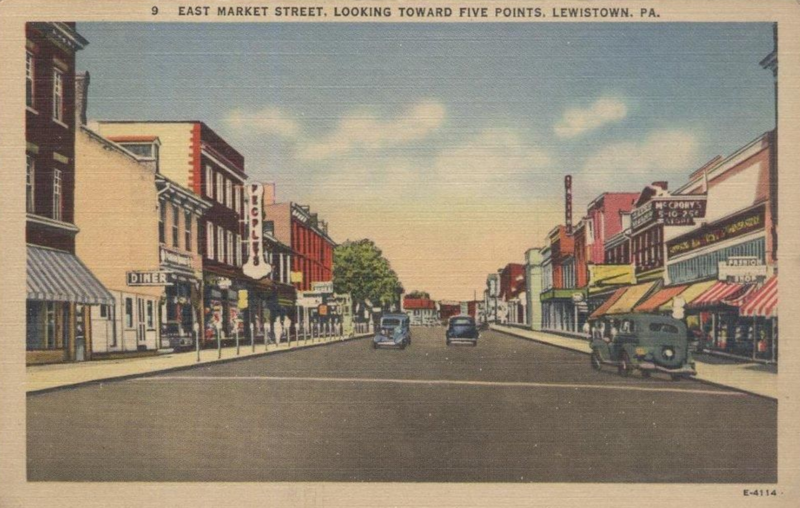 He came to Lewistown in the late 1920s where his father, Cecile C. Wilson, had a meat market on Valley Street for a number of years. Early in life, Paul Sr. owned a wholesale pharmaceutical business and was later manager at Mason Dixon Sand & Gravel Corp. at Perryville, MD. He was in sales with Goss Fertilizer, Lewistown and Agrico, a fertilizer corporation, before opening the jewelry store in 1965. Paul Sr. purchased the Fosnot building in January 1970. He acquired Weaver Gift and Jewelry located at 23 East Market Street from owners Edwin T. and wife Evelyn Weaver. From 1965 to 1980, he owned and operated Wilson’s Gift and Jewelry, moving into the Fosnot property in 1971. An advertisement ran that September 9th in The Sentinel, heralding the opening: “Don’t miss our Grand Opening, Wilson’s Gift and Jewelry – ‘On the Corner – On the Square’ in Downtown Lewistown, Come in and Register …You May Win ½ Carat Solitaire Diamond, Fenton Owl Decision Maker, Bulova Wrist Watch, Fostoria Vase, Westclock Chime Clock, and a Forget-me-not pin…” On September 14th, the happy winners were announced in the same newspaper. The winners were Mrs. K. D. Swartzell of Lewistown, the diamond; Connie Goss of Reedsville, the watch; Grace Rager of Lewistown, the Fenton Owl; Paul R. Fogelman, the vase; Elaine Zellers, the pin; and Julia Moore of Burnham, the clock. Paul Sr. retired in 1980, and was succeeded by son Paul F. Wilson, Jr. Paul Jr. and wife Vicki acquired the property in 1986 from his father and remain the owners of Wilson’s Gift and Jewelry today. Old Lot No. 76 saw a long list of owners and tenants. The Wilsons maintain an unbroken lineage of businesses that have grown and prospered for over two centuries at this unique, historic spot in Mifflin County, “On the Corner – On the Square” in downtown Lewistown.